The world of pianos is long, wide, and deep. 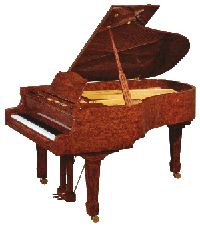 There are hundreds of piano brands made in the last hundred years, some of which are still in good condition. Some pianos made in the last 30 years are already worn out and need repair. Maybe you’re on a tight budget (who isn’t? ), and maybe you’re not sure little Suzy or Johnny is going to continue with lessons. You don’t want to spend too much, but where are you going to find that deal that will fill the need but not break the bank? Sometimes I’m asked about keyboards. Are they a good idea? Are you worried about them putting you out of business? I think a keyboard is a good stepping stone to a piano. They are inexpensive, and can get a new player up and running with little cost. If they decide that lessons aren’t going to work, you aren’t out a lot of money. But, I have found that if they make a little progress, they will ask for the real thing. Finding that “needle in a haystack” bargain piano for a beginning student doesn’t have to be a daunting task. I’d stay away from the curbside piano. It’s there to be taken for free for a reason. You’ll most likely end up paying more for moving it than it’s worth, and then the repairs needed will put the final cost more than you expected anyway. Buying from a store can be a good idea, but of course they will not be as cheap as one you could find yourself. Craigslist is chock full of bargain pianos at rock bottom prices. One of the best pianos out there is the Baldwin Acrosonic spinet. It’s a smaller upright piano, and very plentiful. For somewhere between $500 to $1000 you can find one in good shape. They’re like Timex watches. If you just take care of them, they’ll just keep on tickin’ Later, if you want to upgrade, you can sell it for what you paid for it. Going up from there are the larger upright pianos, with names like Baldwin, Yamaha, Kawai, Mason Hamlin, Chickering and others. They are well built, and should be pretty much trouble free. Don’t forget that this purchase will likely become a family heirloom, and become the “mantel” for your pictures and trophies. Be prepared to splurge, and you won’t regret it. If you’re unsure about what you’re looking at, take along a teacher or an experienced player to audition the pianos. They will know what to expect in the tone and feel of the keys. The main thing is to have fun looking, and be sure you LOVE the piano before you buy it. Don’t just buy “Brand X” because of the name. The one you love is the one you want. If you do find that dream piano, be sure to have it checked by your technician before you purchase. You don’t want any surprises when you get it home. Speaking of moving pianos, always use a professional piano mover. That is, unless you’re prepared to fix a broken and/or scratched piano. If you think you can get a bunch of big college guys to move it, I wish you luck. Yes, you can save some $$$. But is it worth breaking your back or injuring yourself? Let the big boys do what they do best. See my Referrals page for some good moving companies. So, good luck finding your new piano. Call me if you have any questions..
Buying a new or used piano can be a daunting task for anyone, especially when there are so many choices. Then, there is the question of whether the piano is in good shape. Or not! I can help you make the right choices, and guide you through the process of getting just the right piano. Then, I can check it out for you before you buy it. Buying an old piano may be a bargain, or it might be a nightmare that could cost you hundreds of dollars. That “free” or cheap piano may be a money pit. Beware what might be lurking under the covers. The first step in purchasing a piano is to decide your budget. Then, when you actually go looking for a piano, give yourself some leeway for breaking that budget. You’ll never regret spending a little more, but you might regret spending less. Next is to hit the local stores and try some out. You’ll need to decide what sounds good to you. Bring along an experienced piano player or teacher if you’re not sure. Try to listen to the overall tone and sound of the piano. It will sound different in your home than in the store, but you can get a general idea by comparing several pianos side by side. Does it feel good under your fingers? Does it feel light, or heavy? If you think you’ll “get used to it”, then it’s not the one for you. You will have it for years, so be sure you really love how it feels and sounds. If you know what you’re looking for, and are ready to find a bargain, maybe on Craigslist, you’ll spend more time driving around, but you will probably save a lot of money. There are bargains to be had online. But, be sure to hire an experienced technician to check it out before you buy. That “bargain” could quickly sour if you discover it has more problems than you were aware of. With thousands of moving parts, the potential for problems is very real. Once you’ve found your piano, give me a call or schedule an appointment for an inspection. It’s money well spent to be sure you really have the piano of your dreams. 1. Play every key carefully to see that they bounce back up. Press the damper pedal (right) and play the keys. If they seem to be sluggish, you’ll have a repair bill for that. 2. Open up the top (upright pianos) or remove the music desk (grands) and watch what’s going on when you press the keys. Check for deep grooves on the hammer tips where they hit the strings. If there are deep grooves, the hammers will have to be sanded to reshape them. 3. If you have an upright, you can gently move the hammers side to side. If they feel loose, there might be a couple of hours of repair needed. 4. See if the keys are loose. Move them side to side to check them for looseness. Do they appear well spaced, or do you see the gaps between the keys uneven? Do they tip to one side? If you sight along the keys, are the of the same level, or do they look like the waves of the ocean? 5. Check to see how the pedals work. Press the damper pedal (right) and watch the dampers. Dampers are resting on the strings until you press they key. Watch to see if the dampers all move simultaneously when you press the damper pedal. Does the sound immediately stop when you take your foot off the pedal? If not, there’s some adjustment that needs to be done. 6. Do you hear a full sound coming from the bass notes? Or, does it sound “tubby” when you play those keys? If so, they may need replacement, usually $600-800. 7. Do you hear any buzzes or unusual sounds when you press certain keys? Old pianos can have glue joints that have failed, and that can cause buzzing especially in the soundboard. 8. Does the tone of the piano sound pleasing? If it’s too bright or harsh sounding, you may need some voicing to tame the sound and make it more mellow. Be aware that only so much can be done about the tone. Don’t expect a Steinway to sound like a Yamaha or vice-versa. Better to get something that you like without having to do much work on it. 9. Check the finish on the piano. Does it appear like the scales on an alligator? This indicates it may need refinishing. If the piano has a very glossy finish, you will probably notice any small defects on the piano. Repairing gloss black finishes is fairly easy, but if it’s wood color, repairing damage can be expensive, and will probably be noticeable even after it is repaired. 10. Make sure you LOvE the piano! You will likely have it for many years. Best of Luck finding your dream piano. Call me for any questions you may have. This is a decision you’re going to want to put some thought into. You’ll probably have the piano for a long time, so choose carefully. Even if it’s not played, it will be hard to give up! Appearance: You’ll want to get some idea what kind of piano you want. There are so many styles and colors, cabinet designs, etc,. to choose from. You will want to match the decor if possible, in color and style. Size: If you choose an upright piano, it really doesn’t matter how tall it is. It’s going to take up the same amount of space. A grand piano is going to require more real estate, so be sure it will fit where you want to put it. Many dealers have a pattern you can borrow and lay on the floor. It will give you an idea how it’s going to fit in the space. Be sure to allow for the bench and maybe a floor lamp. Upright or Grand? If you have room for a grand, overall it’s going to be a better choice for a serious pianist. Aside from the glitzy appearance, there are some advantages you might not be aware of. The action of the grand piano allows the pianist to play more reliably and faster than with an upright piano. This is because the grand piano action relies upon gravity to reset, whereas the upright piano uses springs to return the hammer to the rest position. The action in a grand piano is removable in its entirety by simply sliding it out. It’s easy to clean and service. The upright piano, and the spinet in particular, are harder to service. Cost Vs Value: Generally, the more you pay, the better when it comes to pianos. The materials, craftsmanship, engineering and design all play a factor in building a piano. If any of these is substandard, the piano will not sound or play as good as one that has all of them. 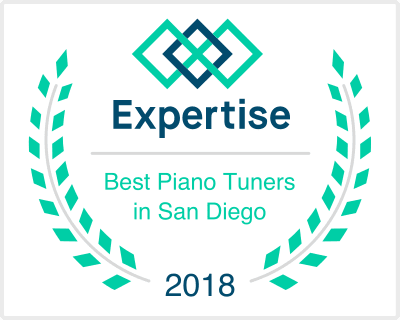 There are many entry level pianos available, and these can be fine instruments, but there are shortcuts and lesser materials used in them, so be aware. Make sure you like how the piano sounds and how it plays. If you don’t love it, don’t buy it. A name brand piano is going to bring more in the resale than an unknown brand, but there are many good pianos with names you might not know. Don’t buy just for the name. Imports Vs. Domestic: Nowadays, everything is coming from China. Pianos are no exception. There are a few good Chinese piano manufacturers, which benefit from the expertise of foreign techical advice by American or European companies. It has taken many years, but the level of skill in these factories is now equal to the old American manufacturers. Most of these pianos are entry level, though I’ve seen some that are really stellar. You can purchase a nice grand piano for a very reasonable price. But you should know that the longevity of the Chinese pianos is not yet proven. Used or New: The market is flooded nowadays with used pianos. Craigslist and local ad papers are full of many bargains in the depressed economy. If you check often, you will probably find something that is worth a look. Try to stick to the famous brands, like Yamaha, Kawai, Chickering, Knabe, Baldwin, Steinway, Bosendorfer and others. A new piano, of course, will give you a warranty, and you can usually get financing. Some stores will also finance a used piano. If you’re willing to do some footwork, now is the time to score that piano you always dreamed of. Don’t be afraid to drive a hard bargain. No prices are set in stone, and dealers are often willing to deeply discount a piano just to make a sale. You might try to start a bidding war with two or three stores for their best offer. No matter which piano you buy, be sure to have it checked by a technician to make sure you aren’t buying somebody else’s headache. A substantial problem might sour your purchase after you discover how much it might cost to fix. If you have any questions about the piano you are thinking of purchasing, give me a call or an email. I”ll be very glad to discuss your purchase and give you hints where you might be able to find one. Happy Hunting!